Are you looking for some great deals on wholesale boys underwear? Well, you have just found the biggest collection of low-cost discounted wholesale boys underwear on the web! We have everything here from toddler boy undershirts 2t and little boy tractor underwear to wholesale children's socks underwear and boys black tank undershirts. Everything here is available to you at the lowest wholesale prices. Wholesale Sock Deals is one of the top underwear wholesale suppliers on the web. We specialize in cheap children’s underwear and low-cost everyday apparel. If you are buying for a dollar store, a discount store or a family apparel store, buy your toddler boy undershirts, cheap boxer briefs wholesale and Hanes - boys' boxer briefs 5-pack from us and you are guaranteed to get the best wholesale prices. We have big bulk discounts on toddler boy boxer briefs and toddler boy undershirts 3t. 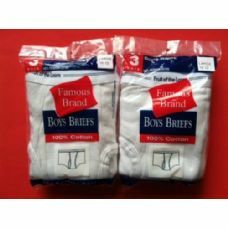 We have knockdown prices on boy’s size 4 boxer briefs and toddler character boxer briefs. We have the lowest wholesale prices on toddler boy underwear and cheap boxer briefs wholesale. Whenever you need wholesale children's socks and underwear, come to Wholesale Sock Deals. We always have the best deals on wholesale socks and underwear. From toddler boy boxer briefs and infant wife beaters to toddler undershirts 2t and boy’s boxer briefs, the lowest wholesale prices on boy’s underwear in bulk online are right here. This is the best way to buy underwear in bulk online. It’s cheap, it’s easy and you get the best prices on all your wholesale underwear orders. You save money on every case of boy’s boxer briefs, cheap children’s underwear and cheap toddler underwear when you buy at Wholesale Sock Deals. You could be saving money on boy’s briefs and bulk boxer briefs right now. So, place your order today for wholesale boy’s underwear and start saving with Wholesale Sock Deals! Do you want to save big bucks on your wholesale boy’s underwear orders? Place your order now for boy’s briefs, toddler boy underwear, infant wife beaters, and bulk boxer briefs, and we guarantee that you will get the best wholesale prices on your wholesale children's socks underwear order. 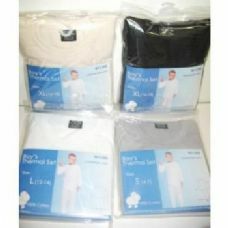 Our range of wholesale boy’s underwear is second to none. We have boy’s boxer briefs, toddler boy undershirts 3t, toddler boy boxer briefs and more! If you have a discount store or a clothing store, you cannot afford to miss out on the big discounts we have on cheap toddler underwear, toddler boy undershirts and Hanes - boys' boxer briefs 5-pack. Whenever you need to buy underwear in bulk online, Wholesale Sock Deals is the place to come. None of the other underwear wholesale suppliers offer such big discounts on boy’s black tank undershirts, cheap children’s underwear and toddler boy boxer briefs. We have the best wholesale prices on little boy tractor underwear, toddler character boxer briefs and boys size 4 boxer briefs. We have the lowest wholesale prices on toddler boy undershirts 2t, toddler undershirts 2t and boy’s boxer briefs. You just can’t buy wholesale socks and underwear cheaper than this! When you buy underwear in bulk online at Wholesale Sock Deals, you get free delivery too. One case of wholesale children's socks underwear or one hundred cases of cheap boxer briefs wholesale; we deliver it to your door for free. Stock up your store with the best cheap children’s underwear on the market. Order your cheap boxer briefs wholesale and wholesale underwear now! Order your wholesale boys underwear today, and we’ll have your high-quality, low cost, boy’s briefs and socks with you in no time at all!